Happy New Year...a little late! I gave up on updating our blog since our sad, old computer was so ridiculously slow. We finally got a new one, so...we are back. Hopefully the updates will come somewhat more regularly now. 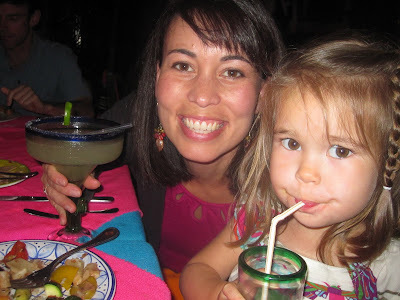 We were also waiting for some of the best pictures from our trip to Cabo. 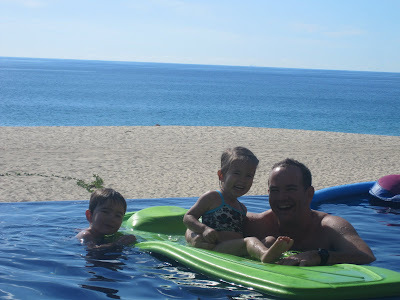 As we always do on our Chapman family vacations, we had an amazing time. 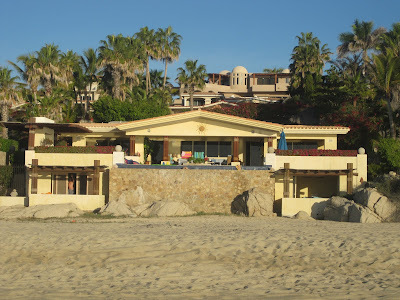 We stayed in a house on the beach in the corridor to Cabo San Lucas. and we went on a beautiful sunset cruise. It was a trip we will never forget. Thanks Pops and Grammy! Thursday is the day of the week when I'm not teaching and Nicholas is not at preschool. A few weeks ago we went to the Aquarium of the Pacific in Long Beach. 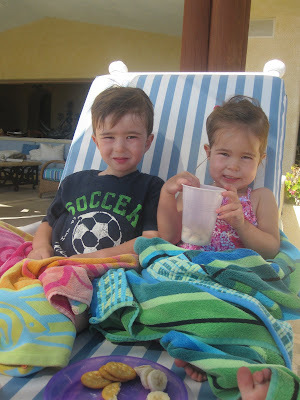 I had taken Nicholas and Samantha when they were quite a bit younger, but this time they were both able to enjoy it a lot more this time. We also didn't have to rush home for either of them to take a nap, so we stayed quite a while. 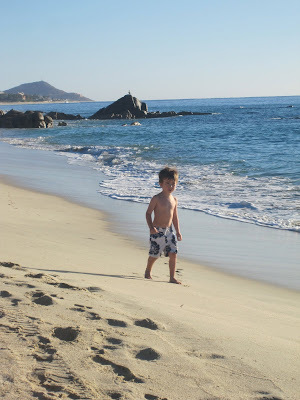 Nicholas could have stood and watched the scuba divers for hours! 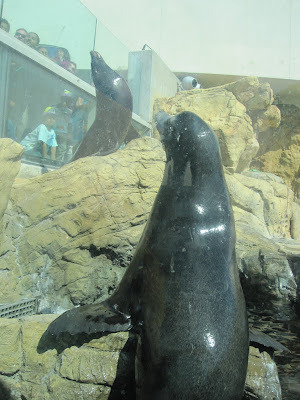 We watched the seal and sea lion show and one biggest sea lions there is named Parker. Nicholas' best friend is named Parker, so Nicholas thought that it was pretty funny. 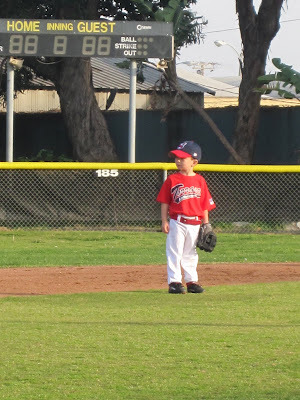 Nicholas is playing T-ball this spring and is on the Torrance Little League Indians team. I didn't grow up doing sports, so it's a little overwhelming to me. I figured I'd jump right in and volunteered to be co-team mom. When we found out that there are 21 games (about 2 a week) I wasn't sure what we had gotten ourselves into! After his very first game, Nicholas got the stomach flu and missed opening ceremonies and team pictures, so sad. 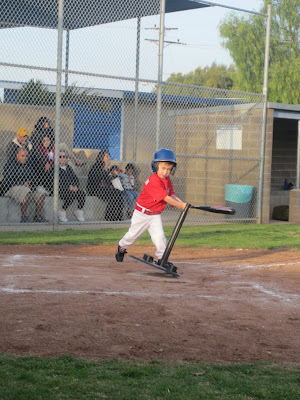 He's having a blast and has a constant smile on his face when he's out on the field. We just signed Samantha up for ballet, which she will start later this month. I have a feeling there will be some pretty cute pictures coming up!